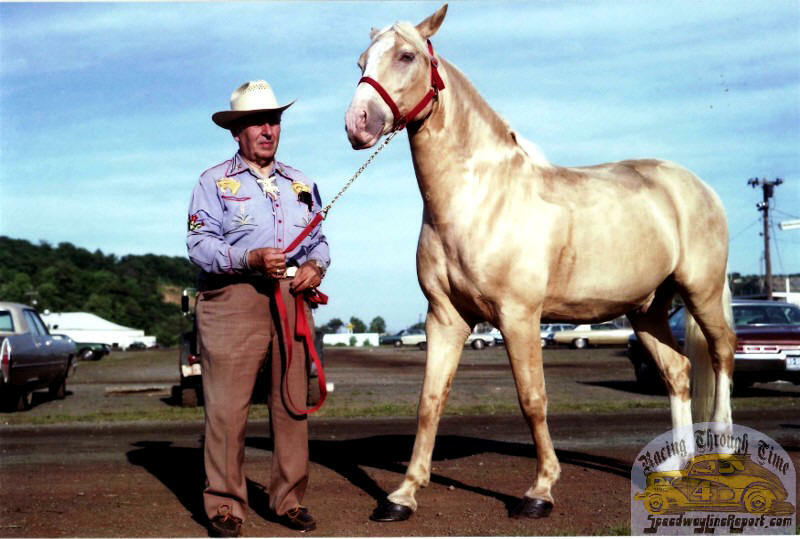 The flamboyant Joe Tinty, creator of Plainville Stadium [with his horse, Sugarfoot]. 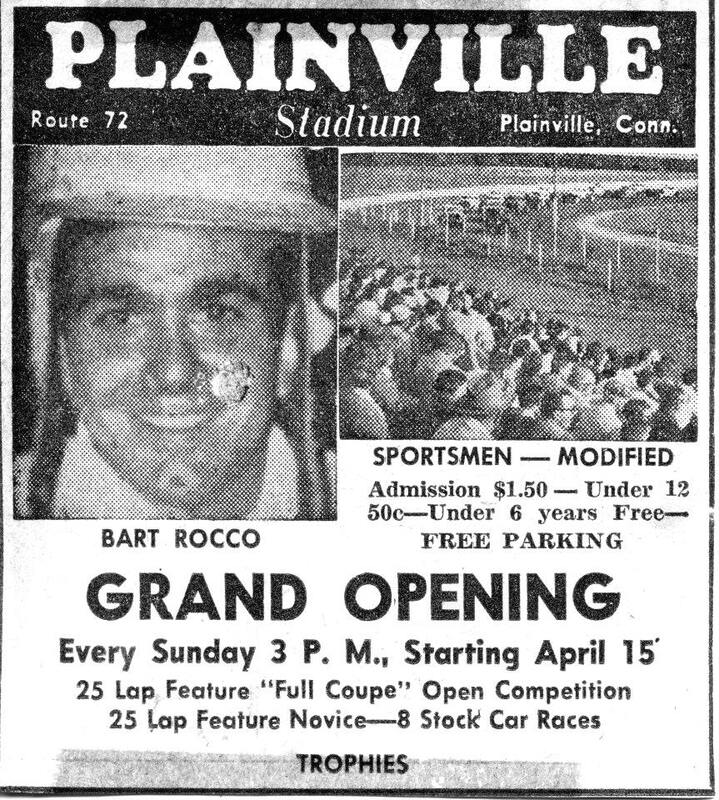 "Plainville Stadium was originally known as Tinty's Flying Ranch, for horse shows, circuses and small plane air shows, there is rumor that it was also a horse track. 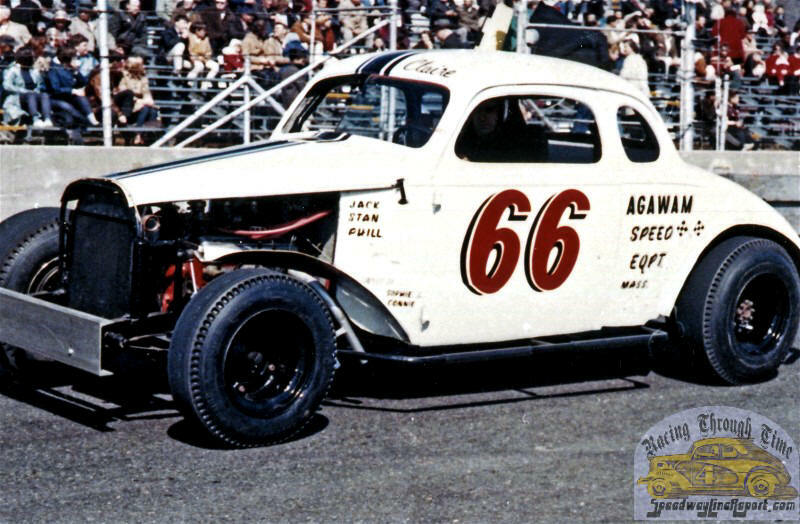 Dave Alkas, Sparky Belmont,  Stash Greger, Jap Membrino, Charlie Jarzombek, Lou Carangelo and Reggie Ruggiero just to name a few. 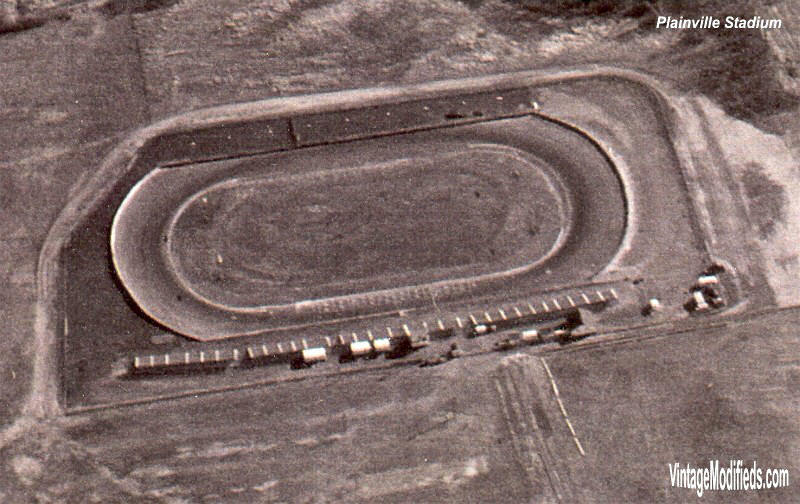 The track was closed in 1981.
is a Lowes home Improvement, Loews theater, K-Mart  and A.C. Moore plus several fast food restaurants." 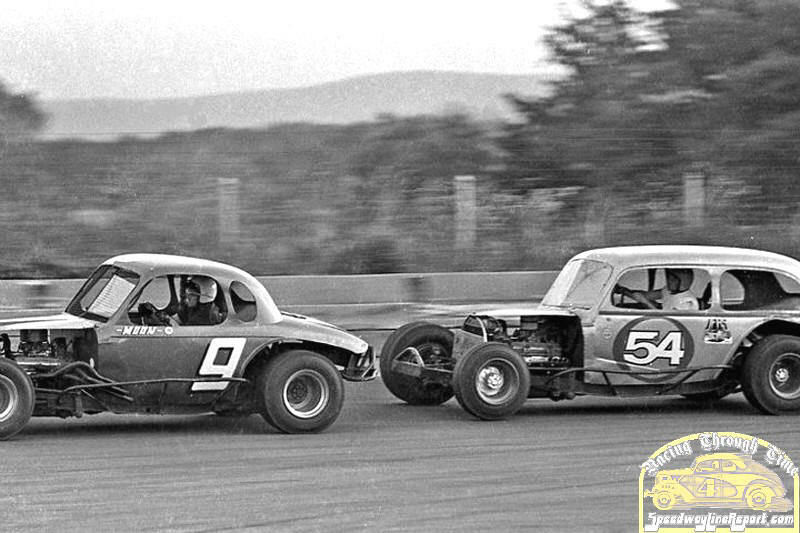 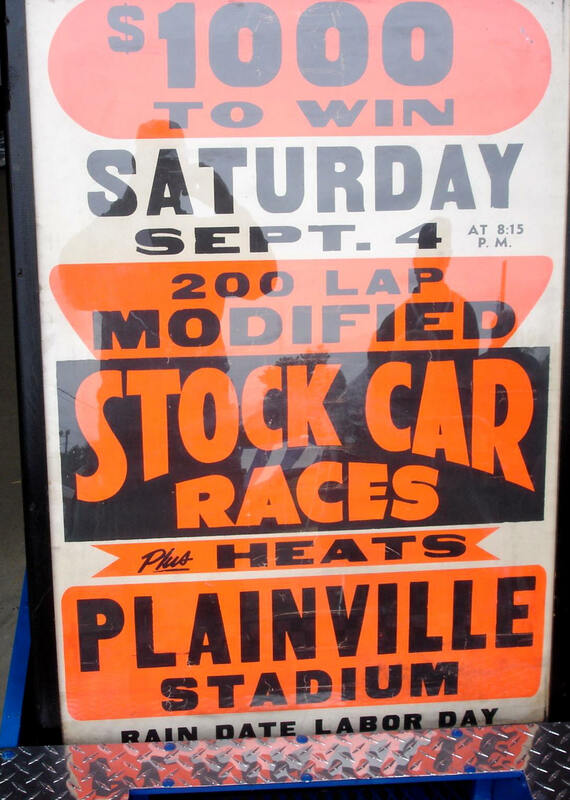 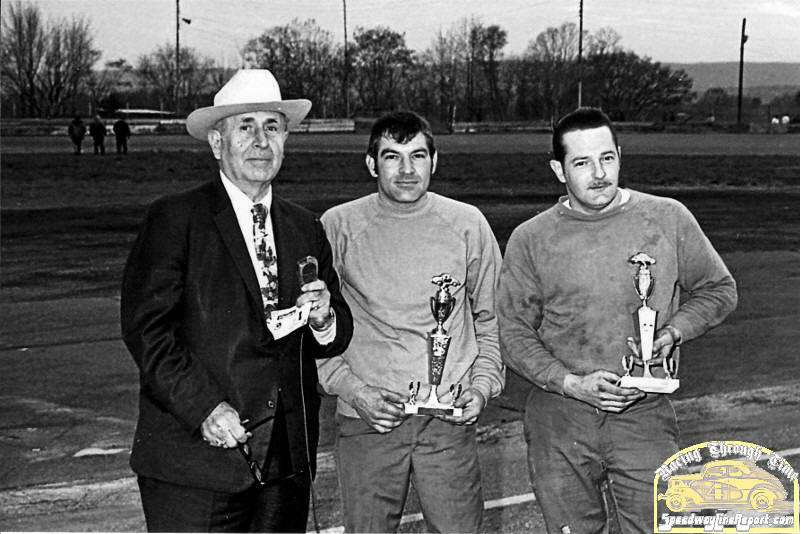 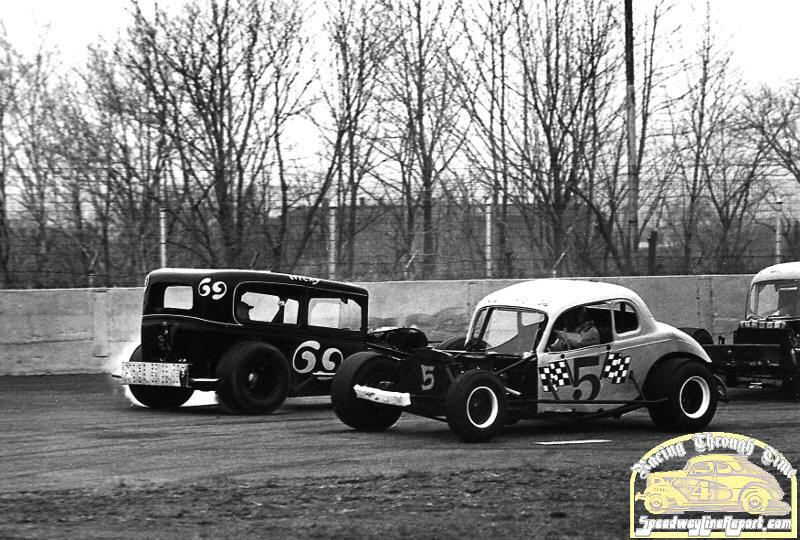 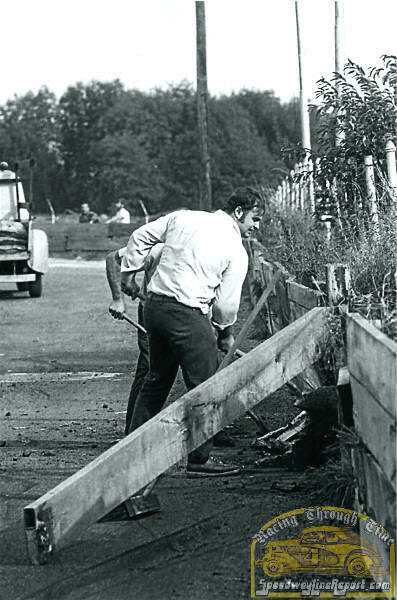 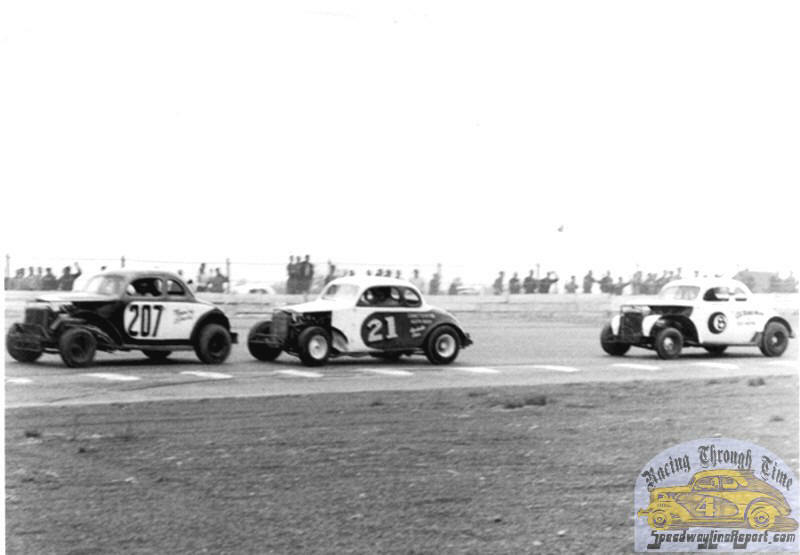 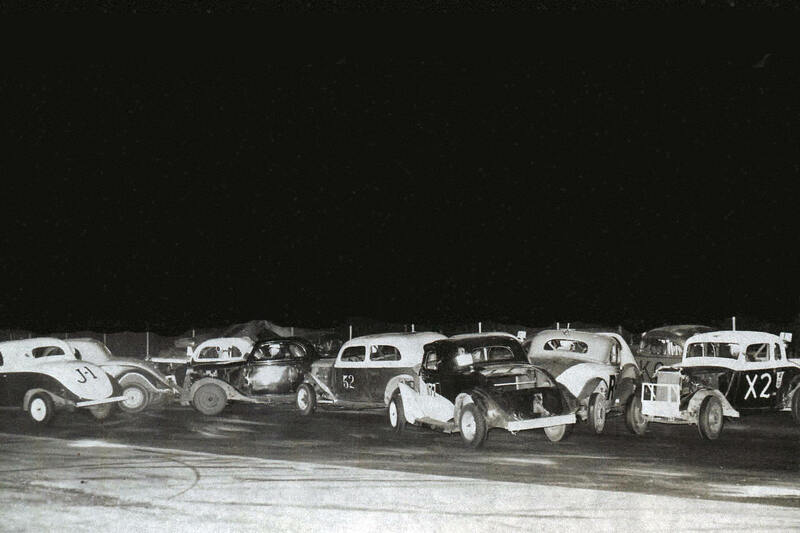 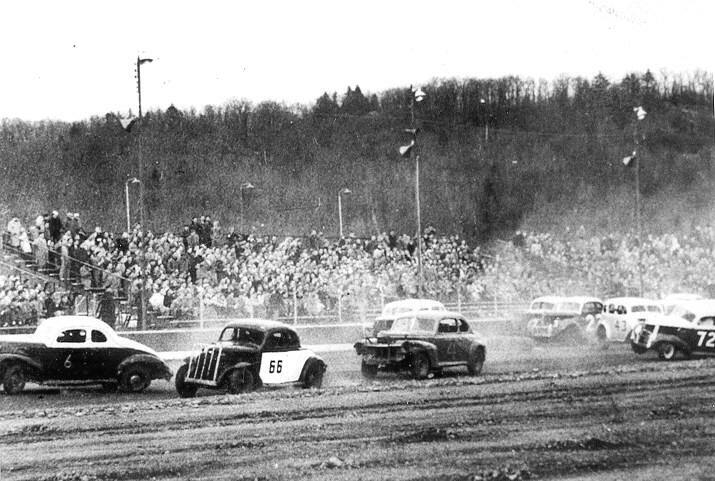 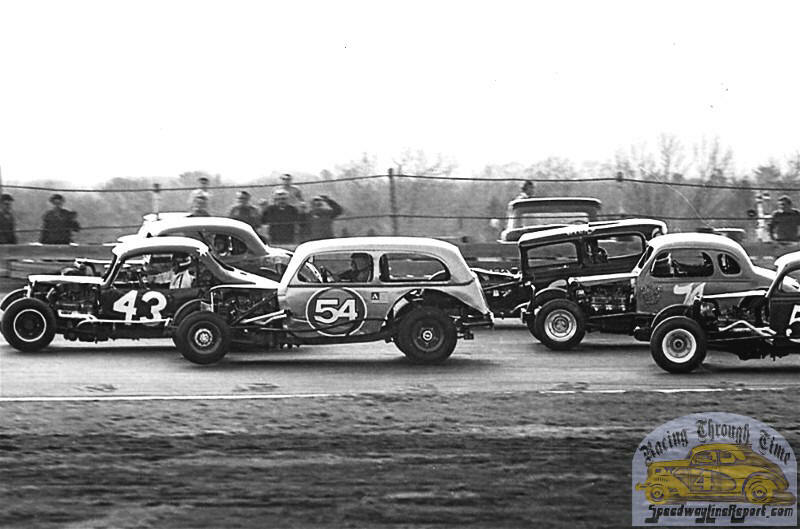 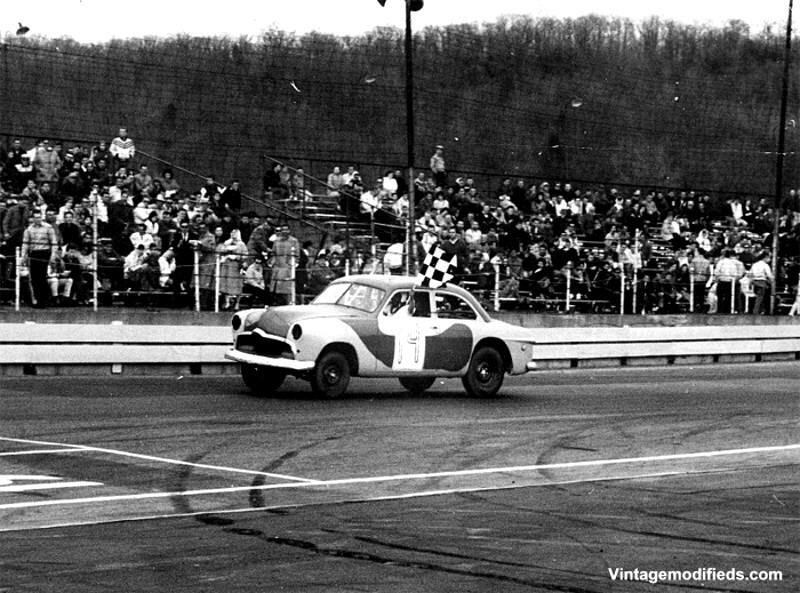 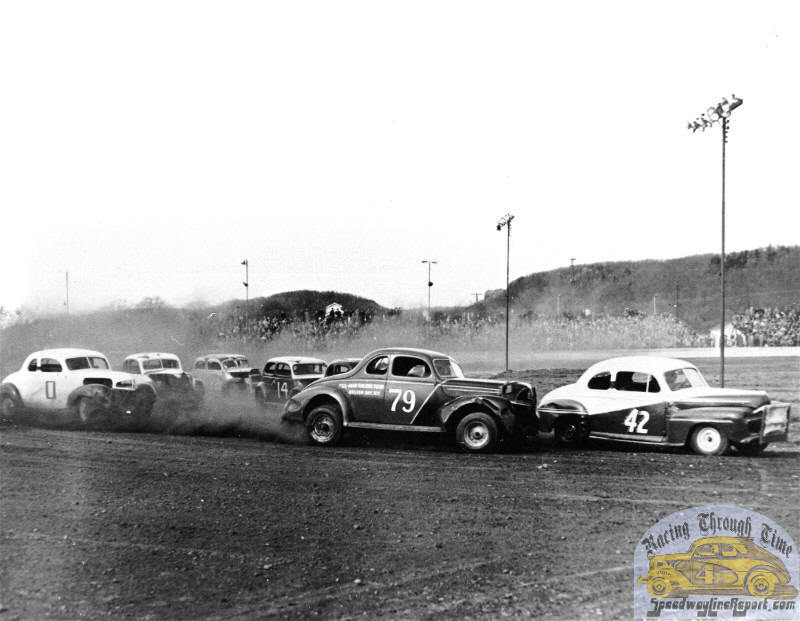 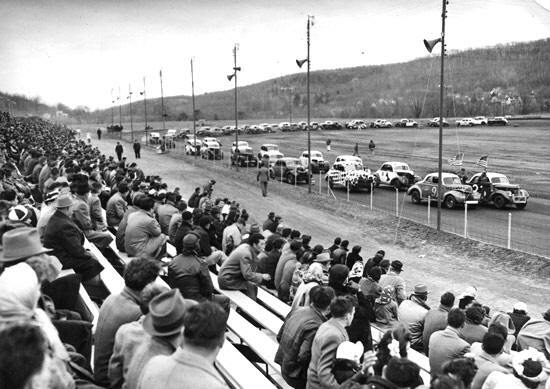 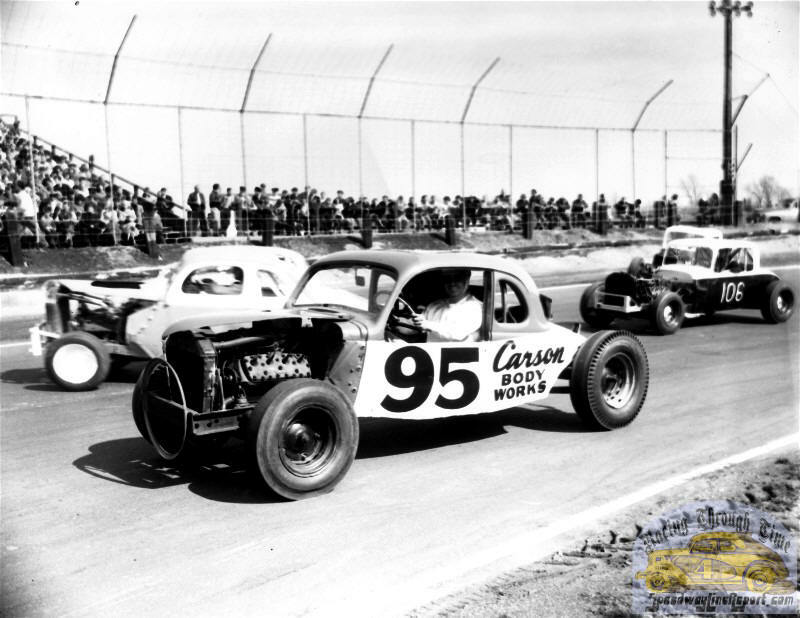 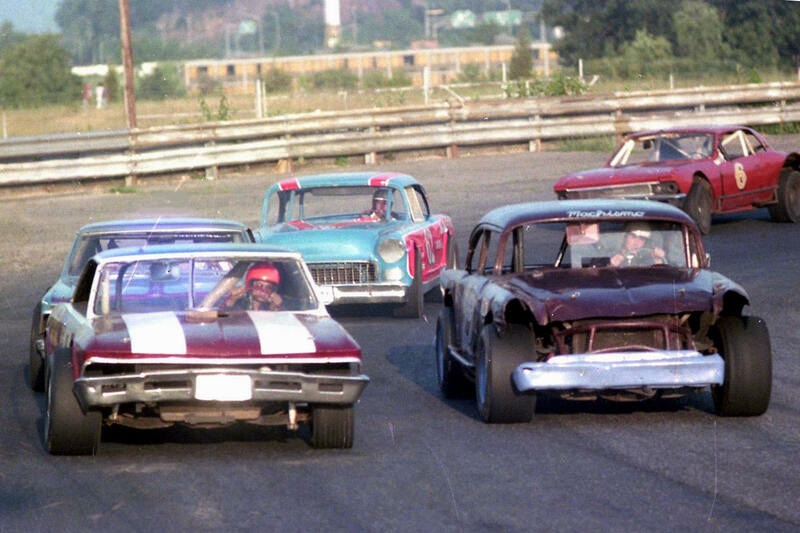 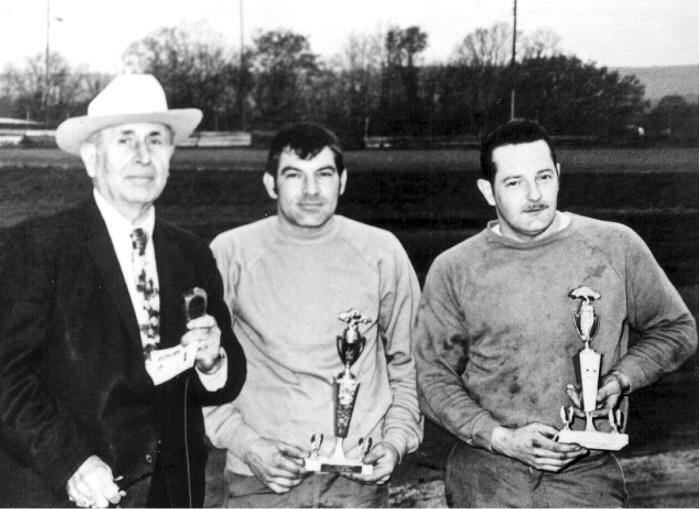 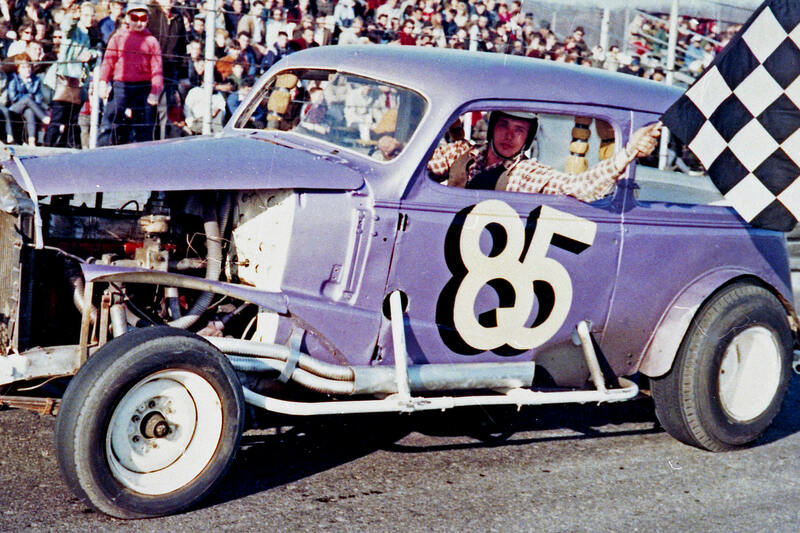 The opening stock car program at Plainville. 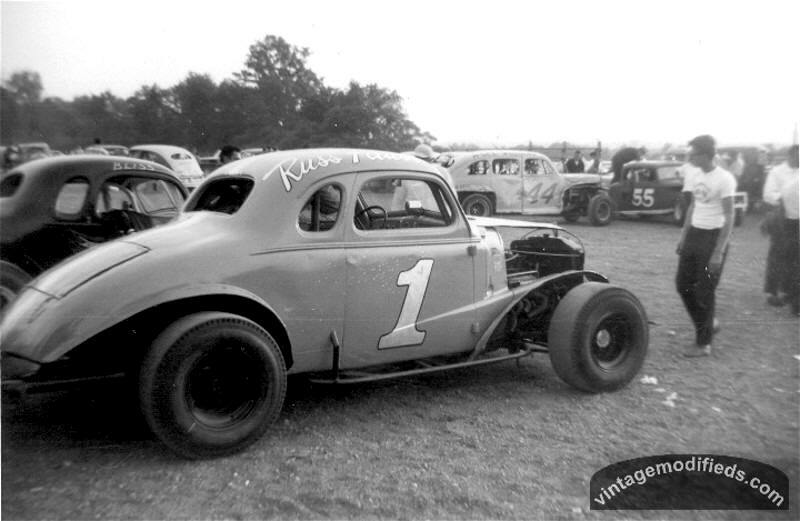 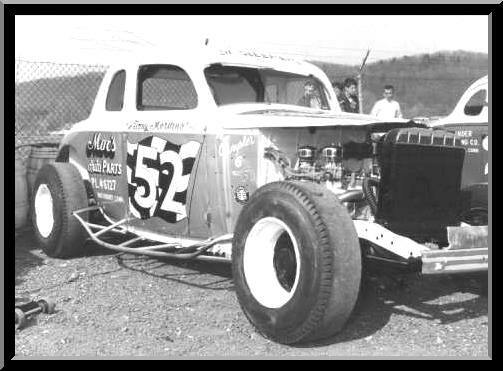 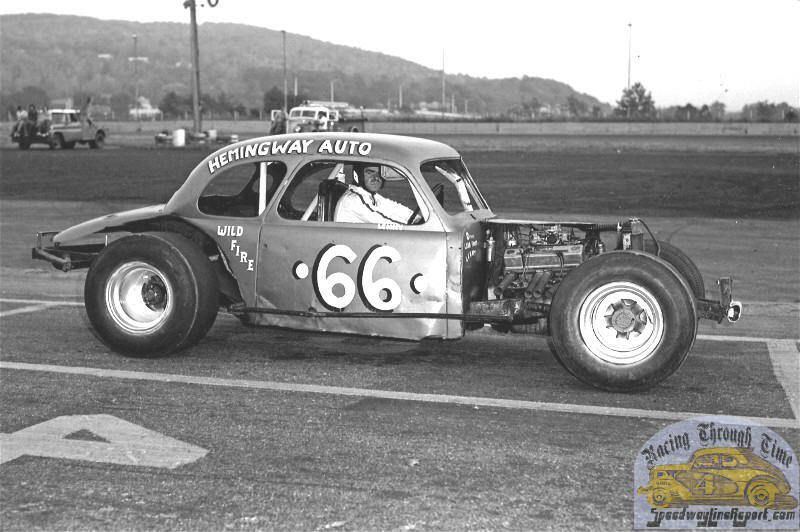 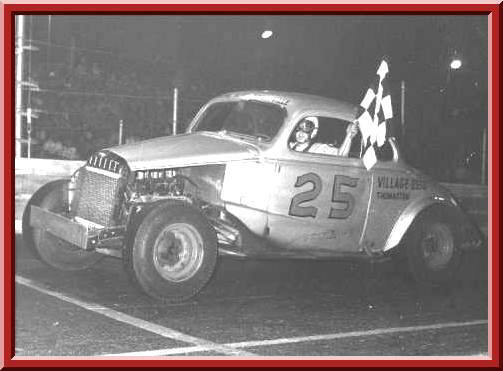 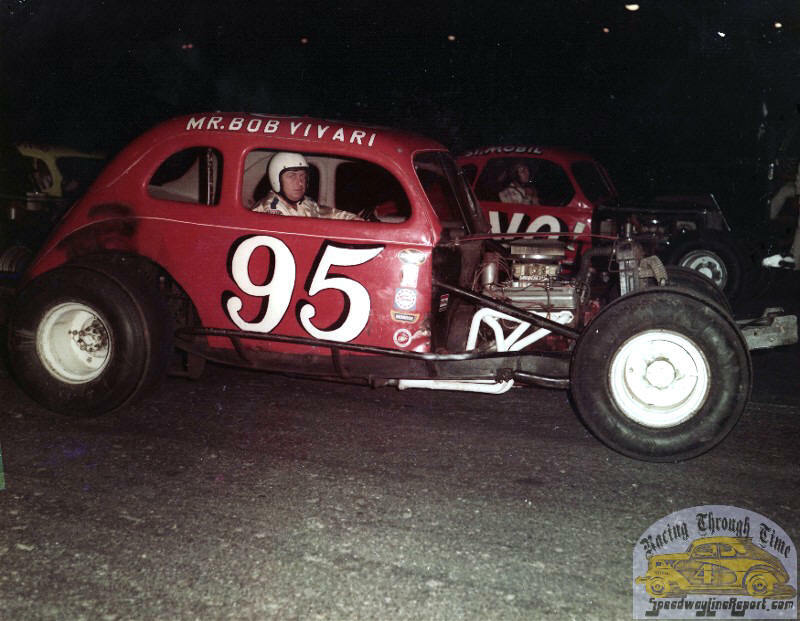 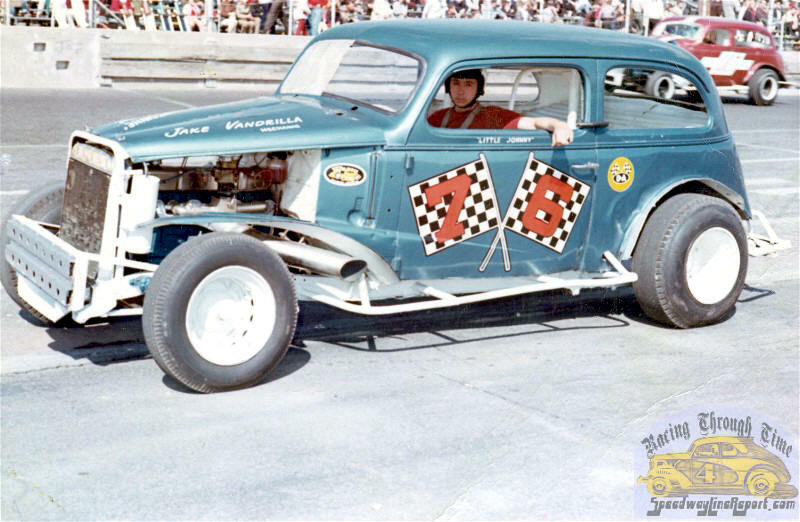 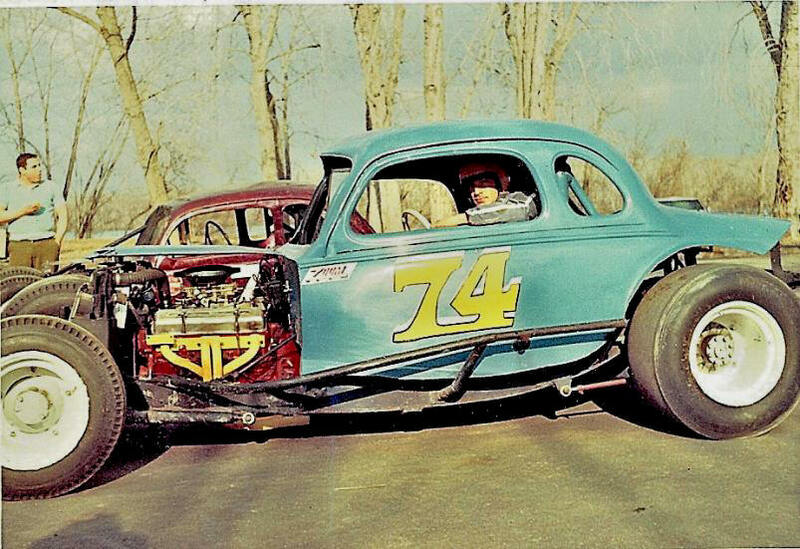 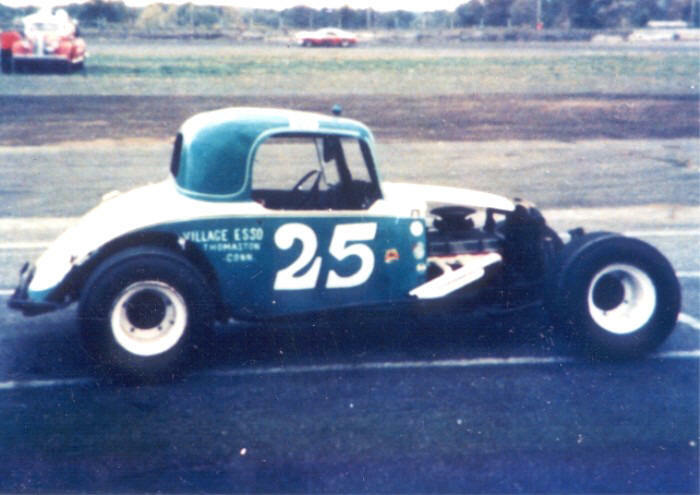 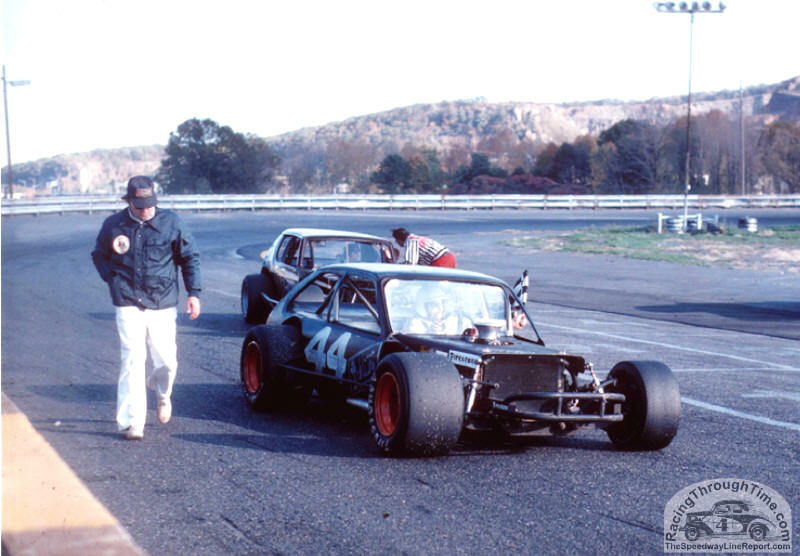 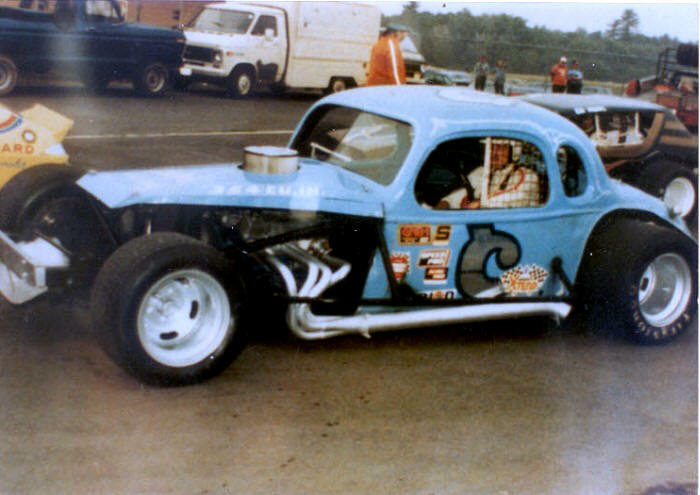 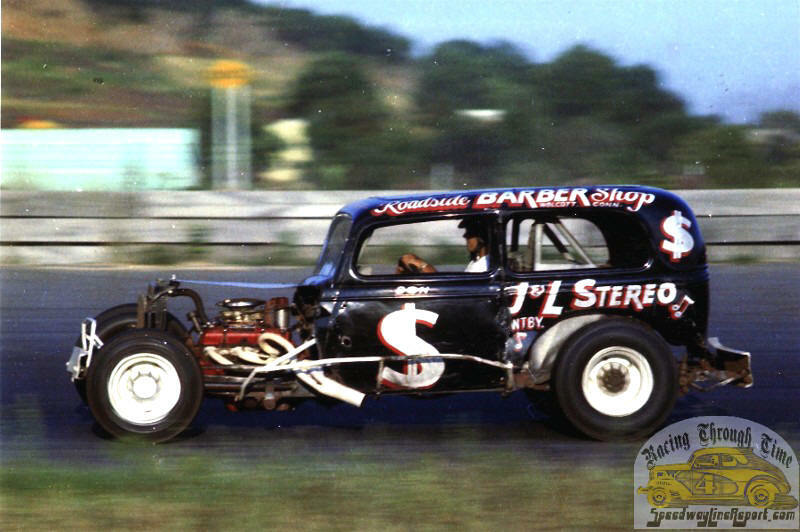 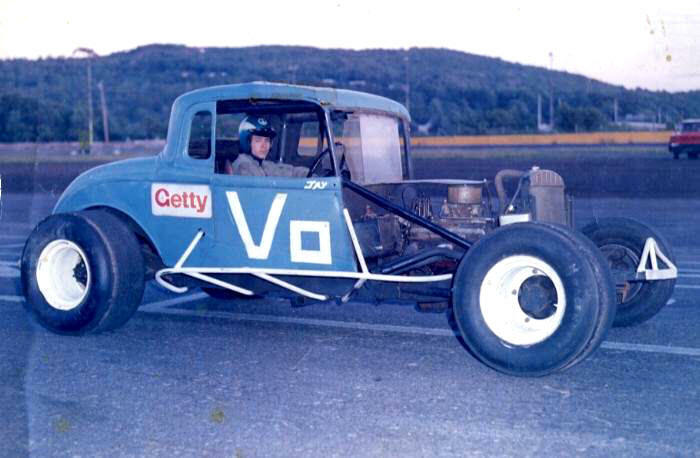 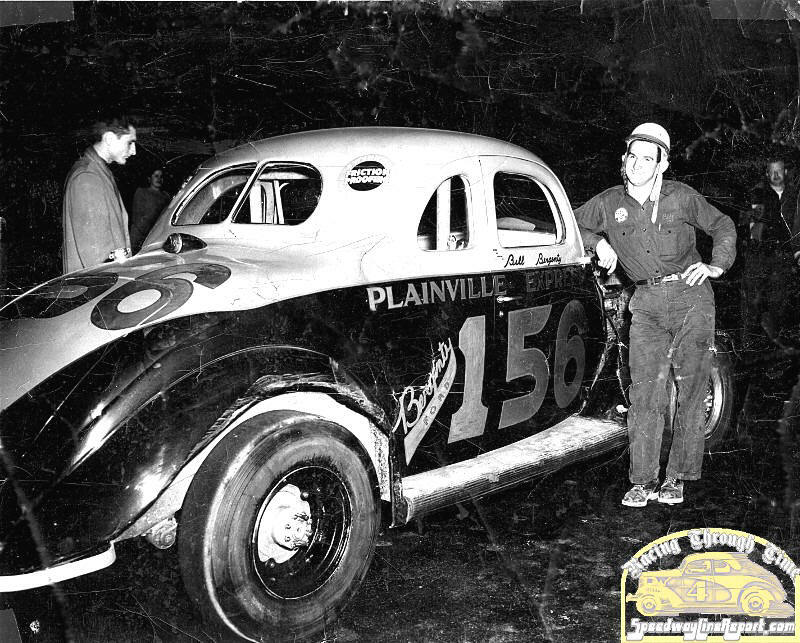 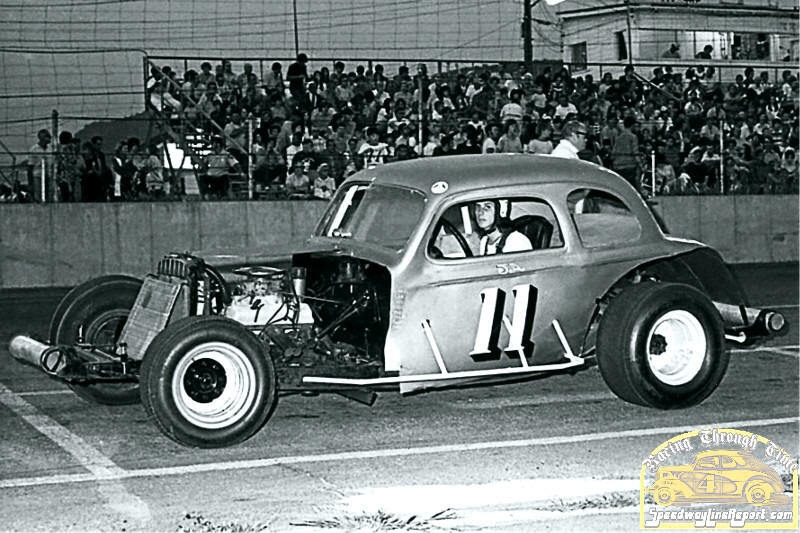 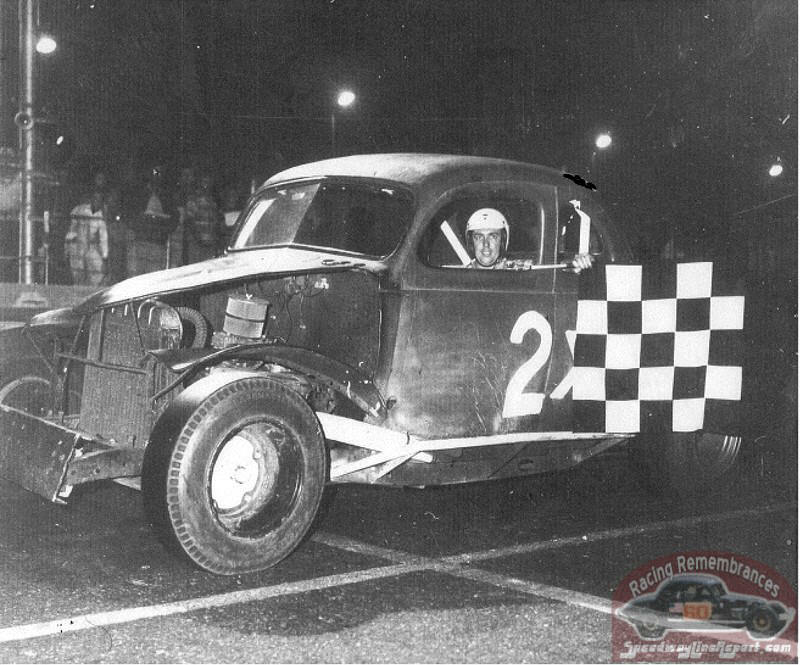 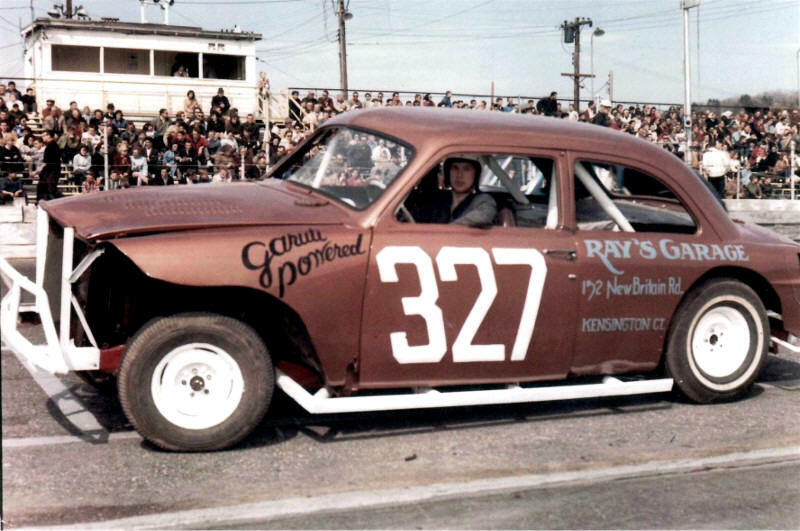 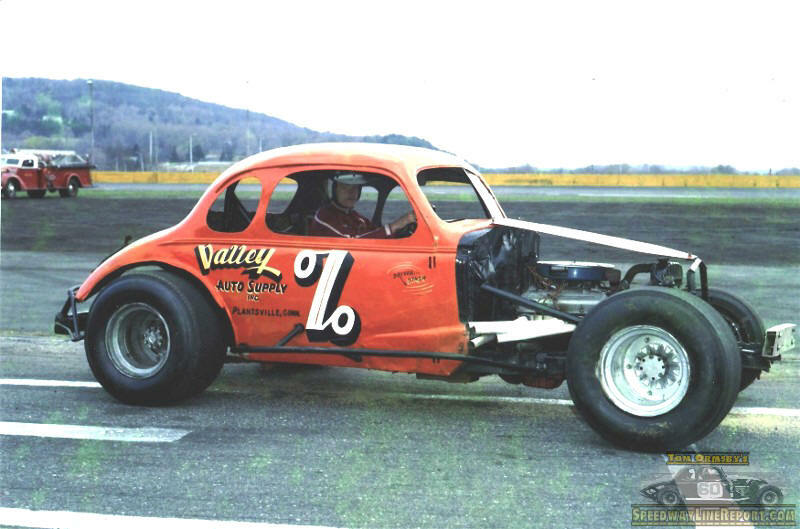 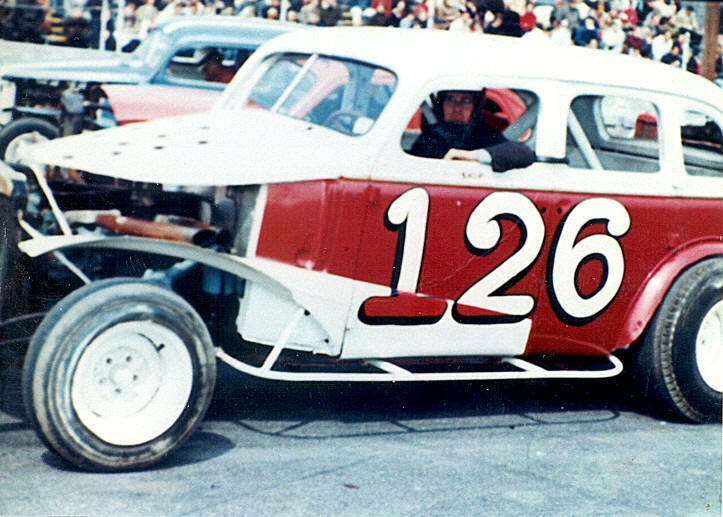 Bill Bergenty with a sharp - looking Plainville car. 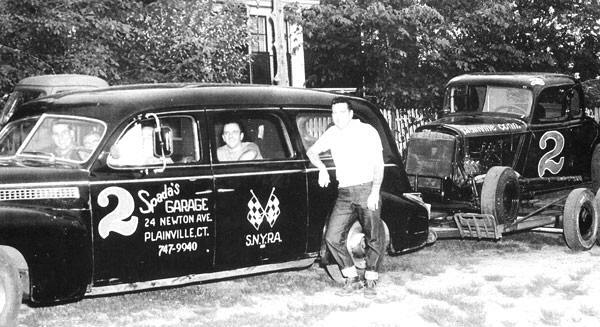 Frank Manafort with a Plainville sedan. 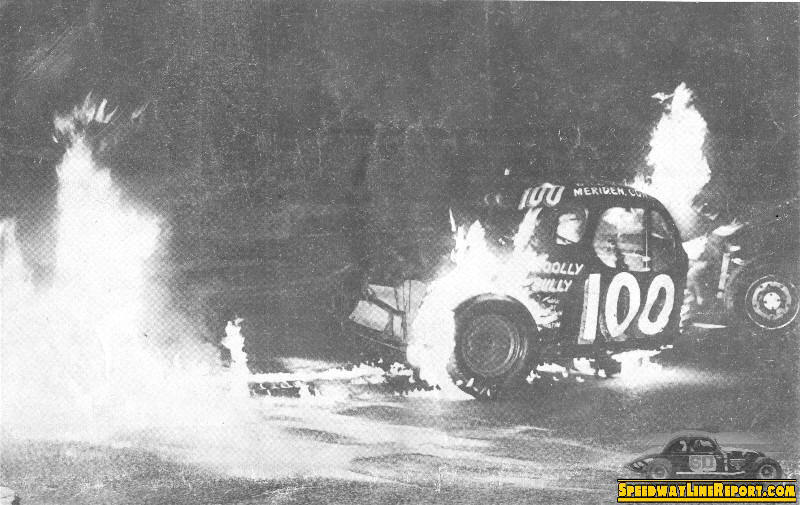 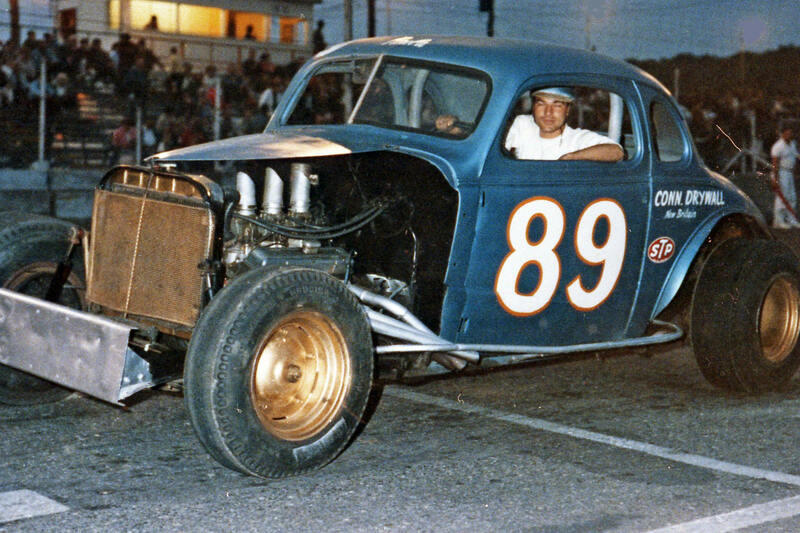 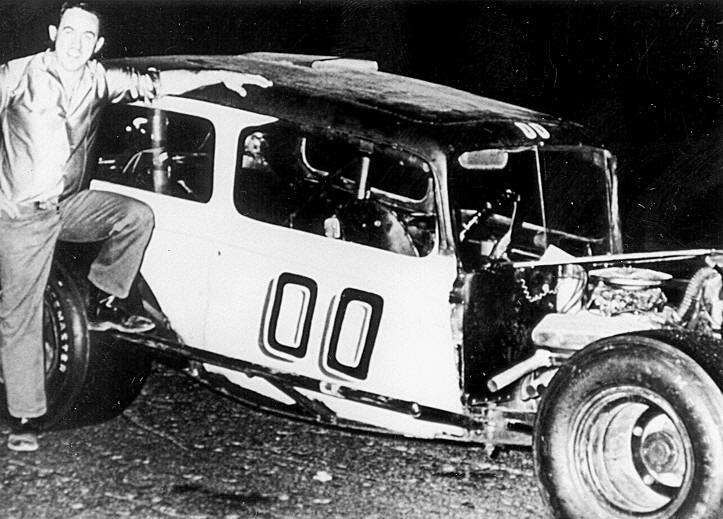 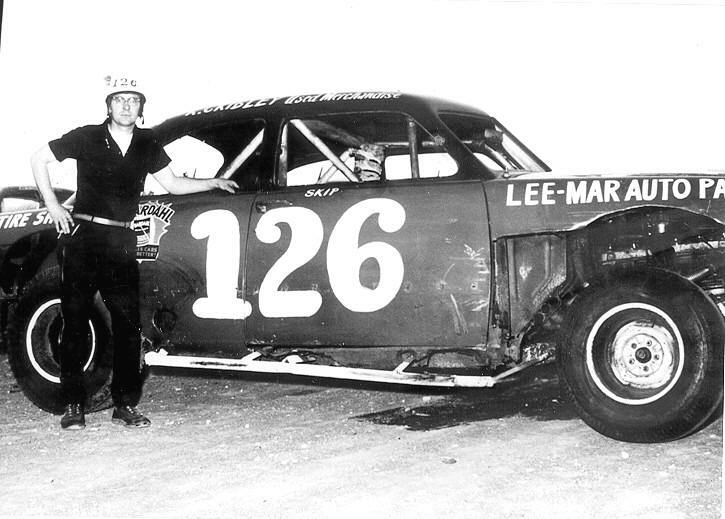 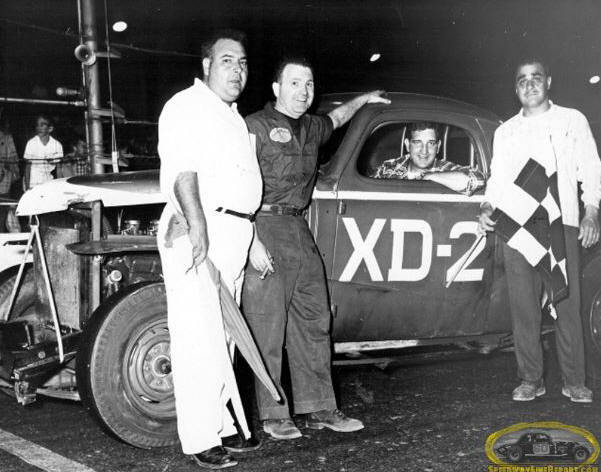 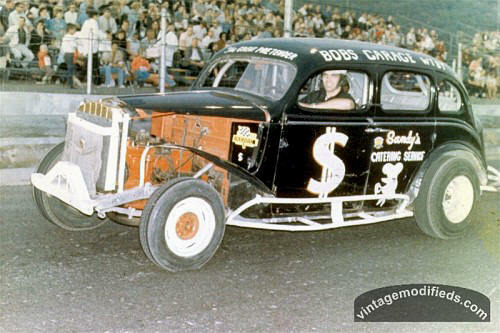 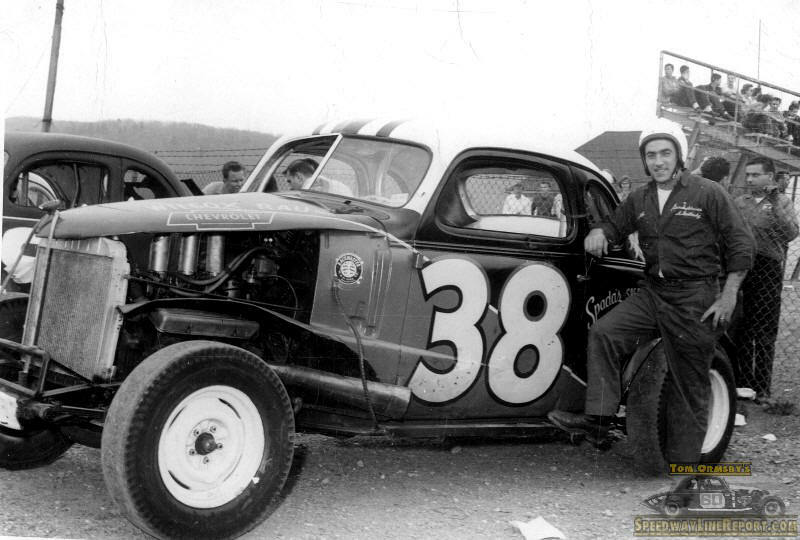 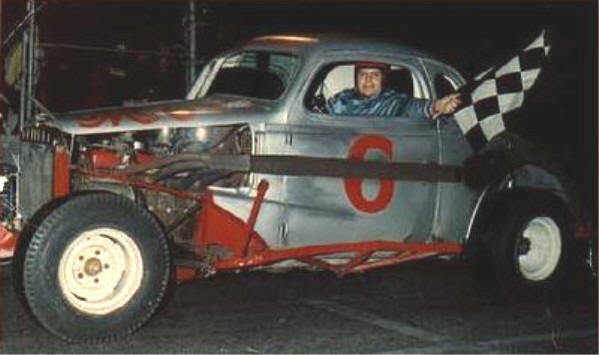 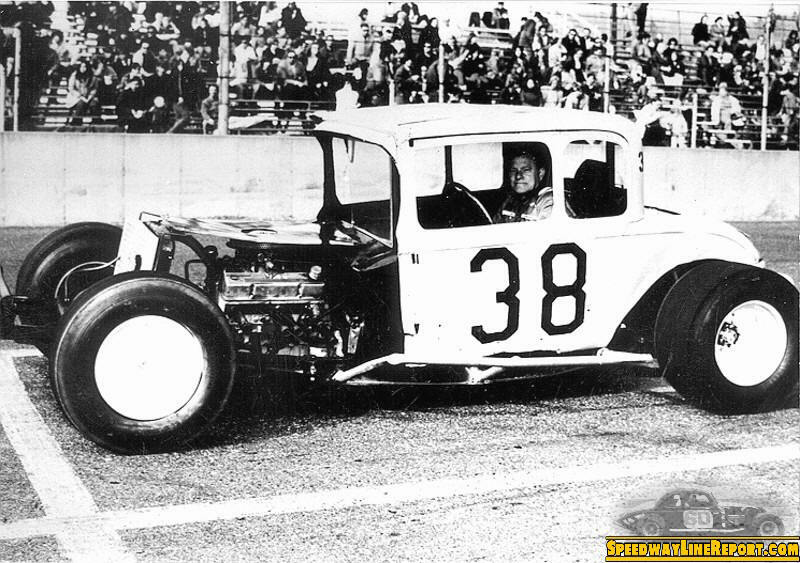 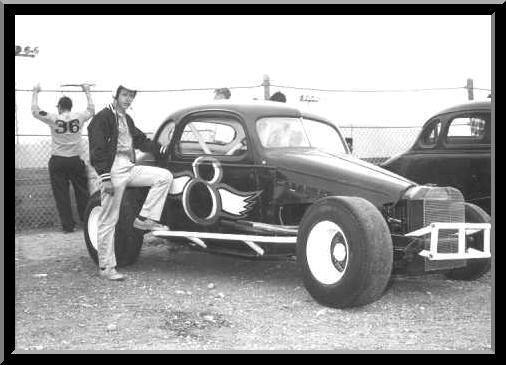 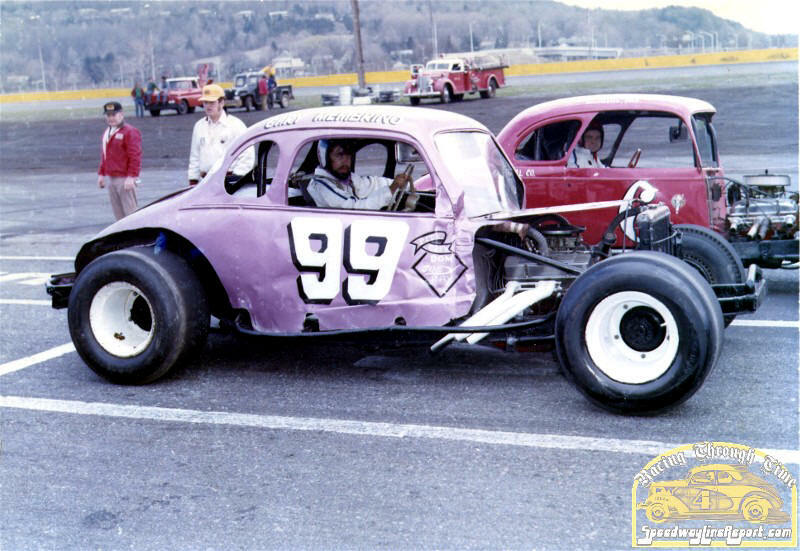 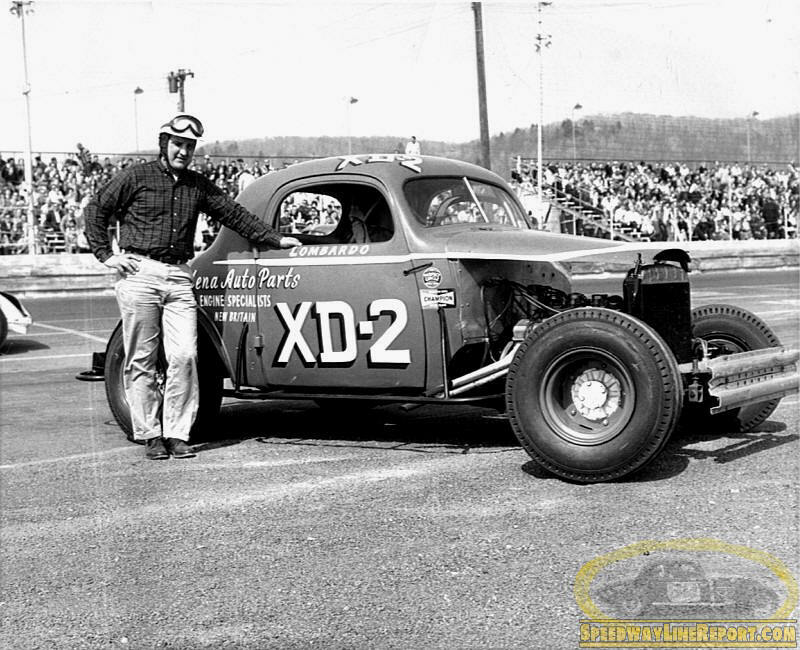 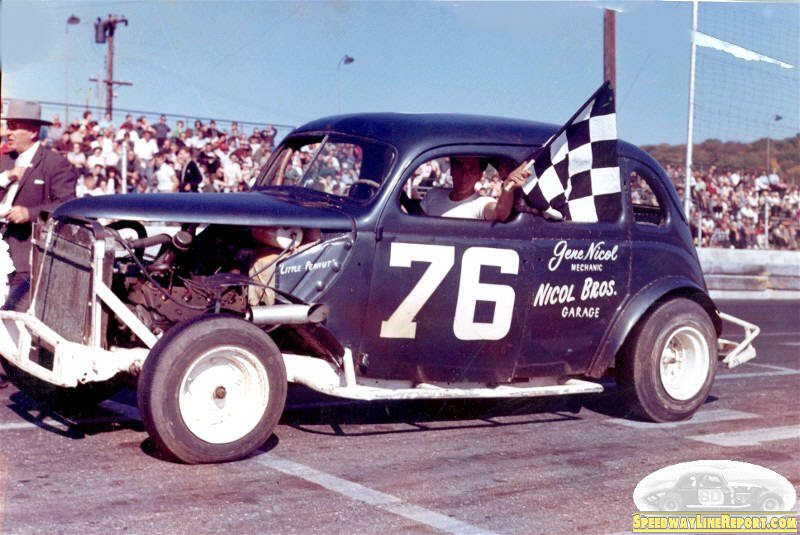 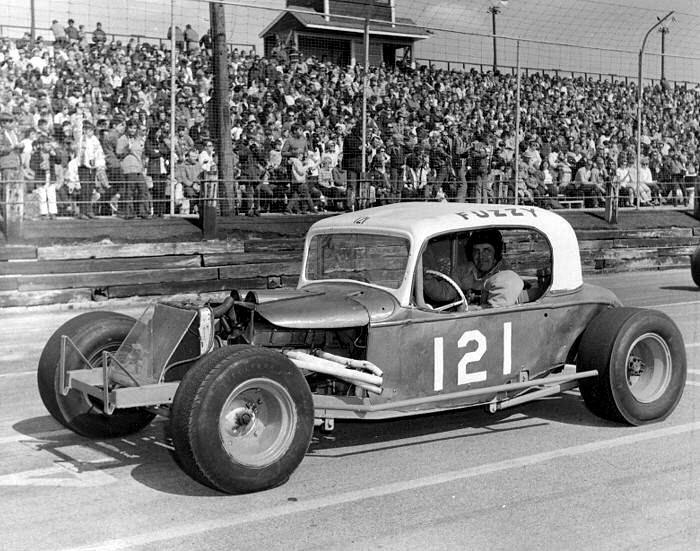 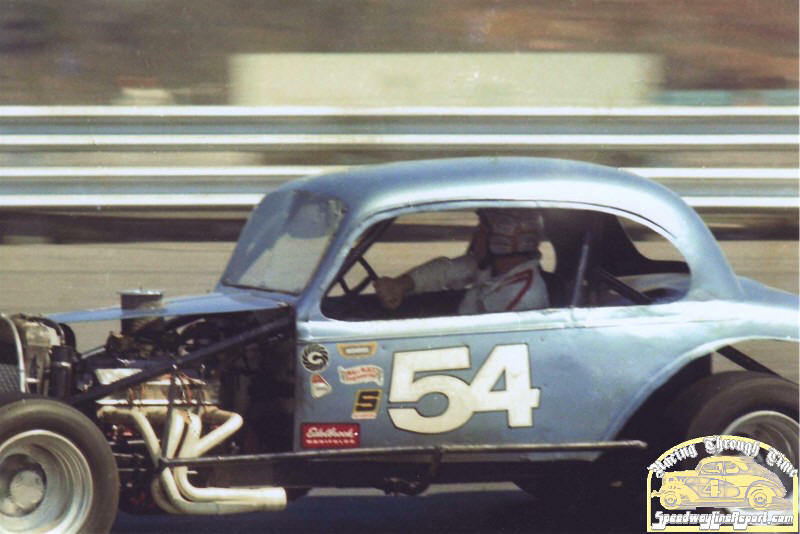 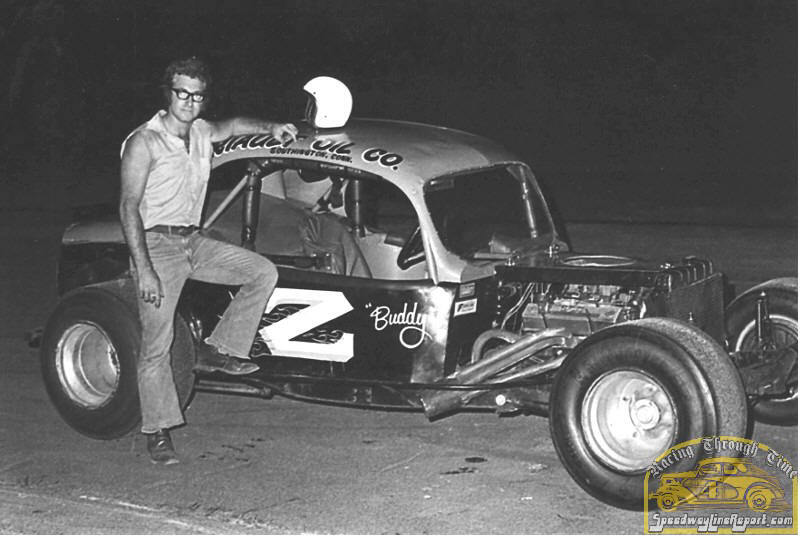 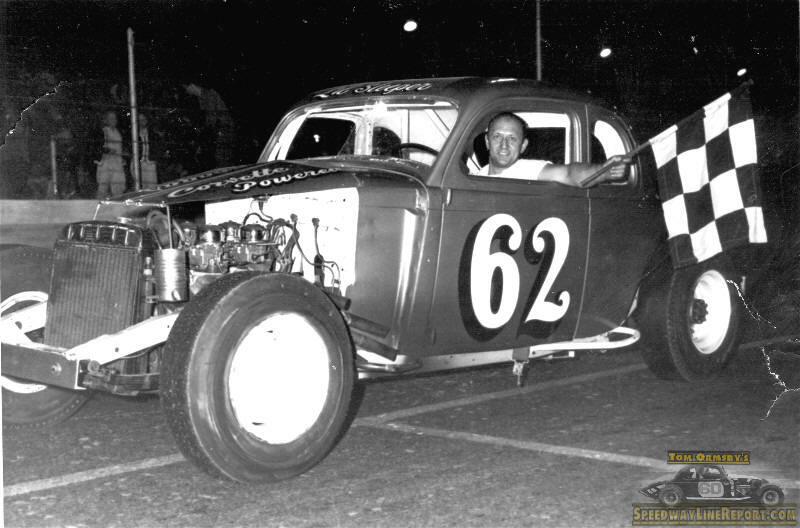 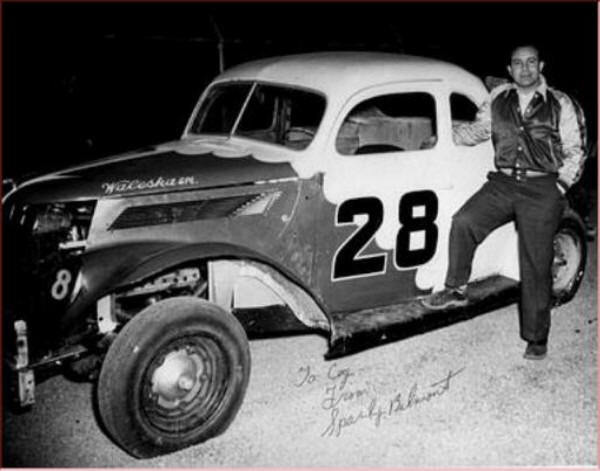 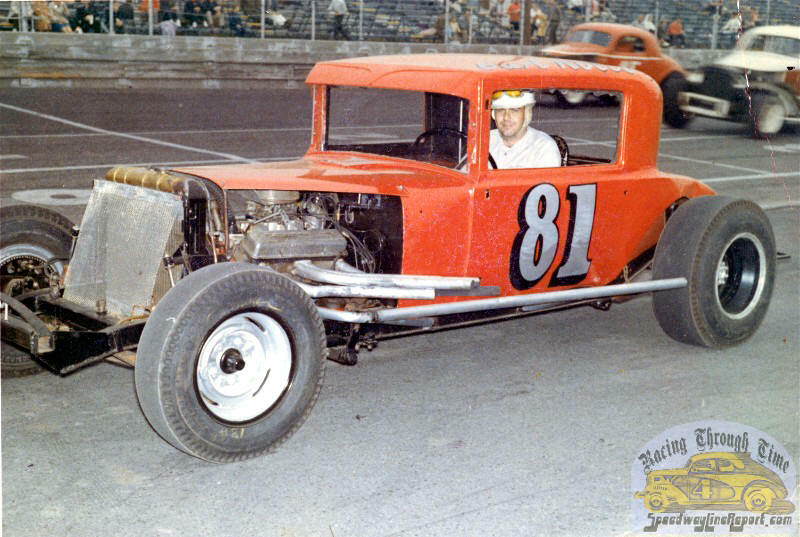 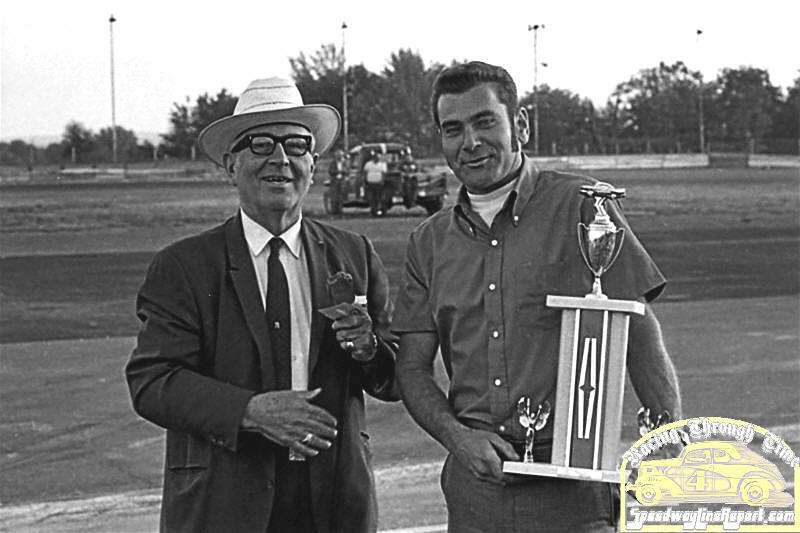 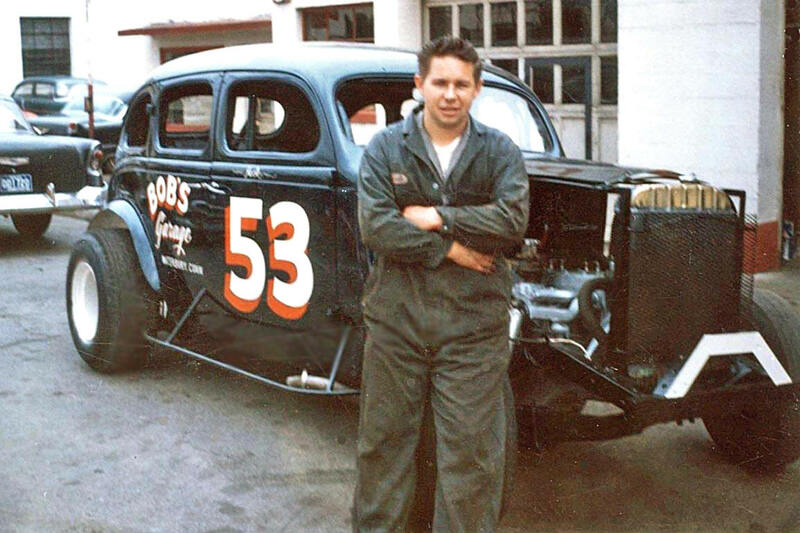 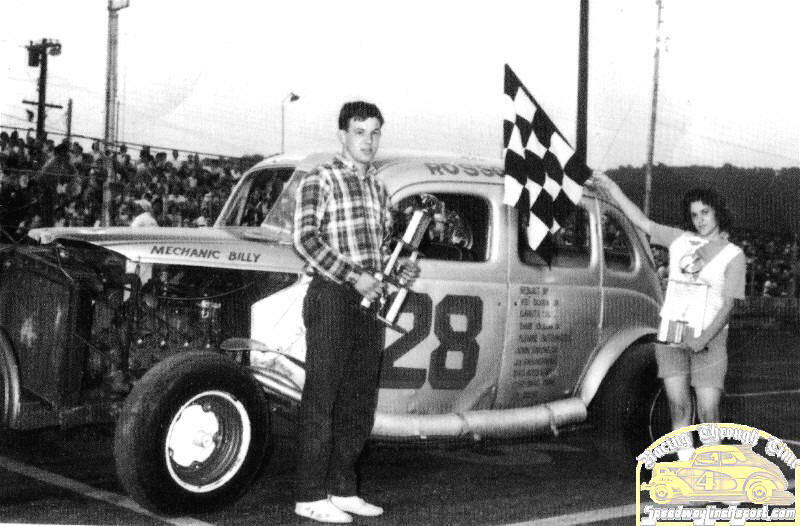 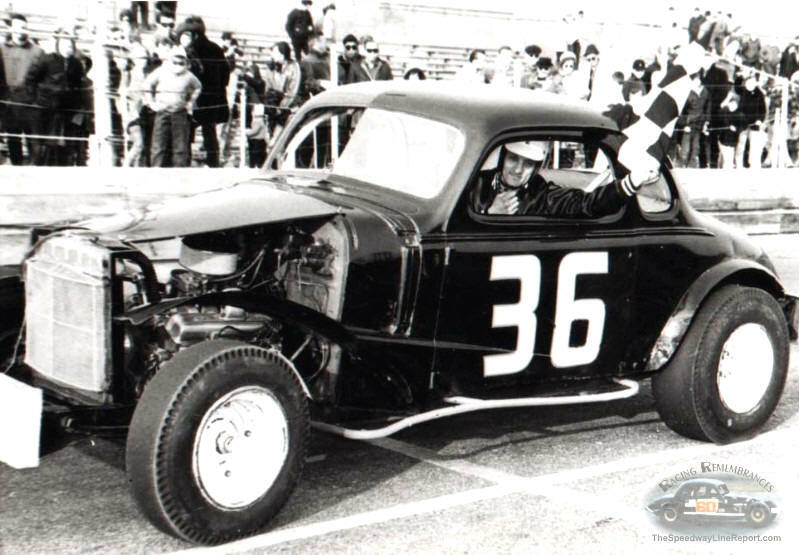 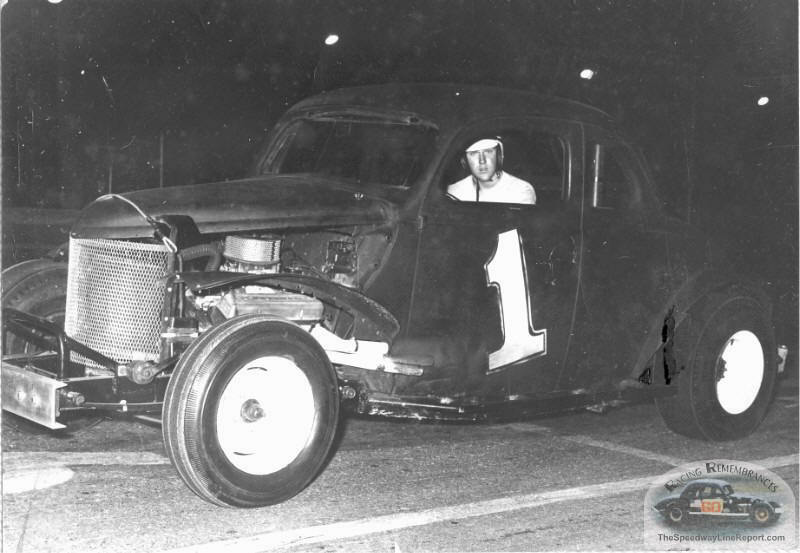 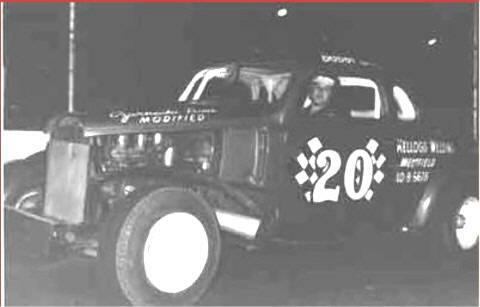 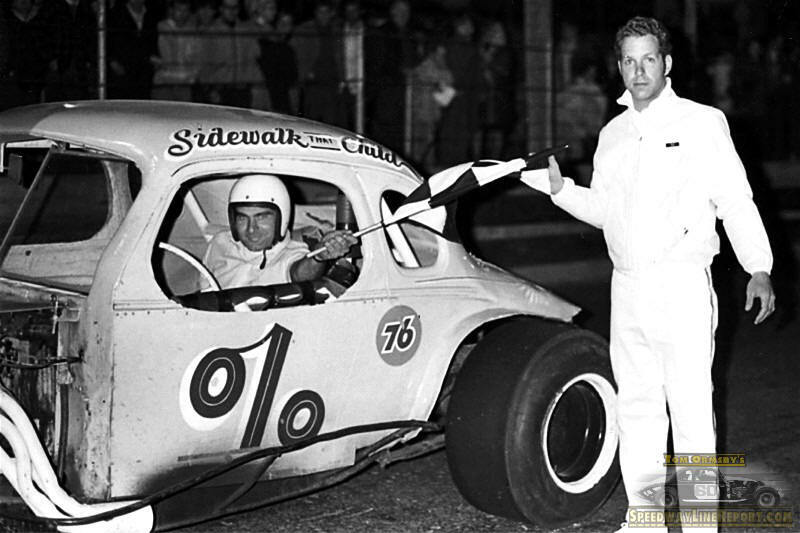 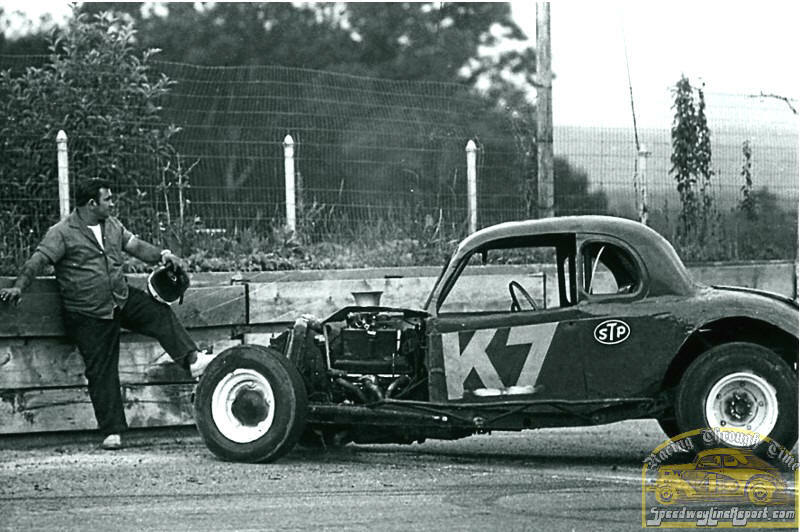 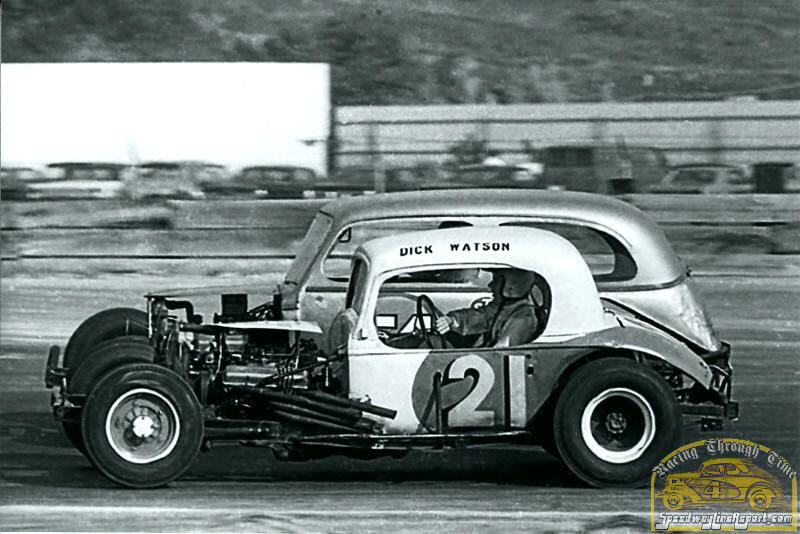 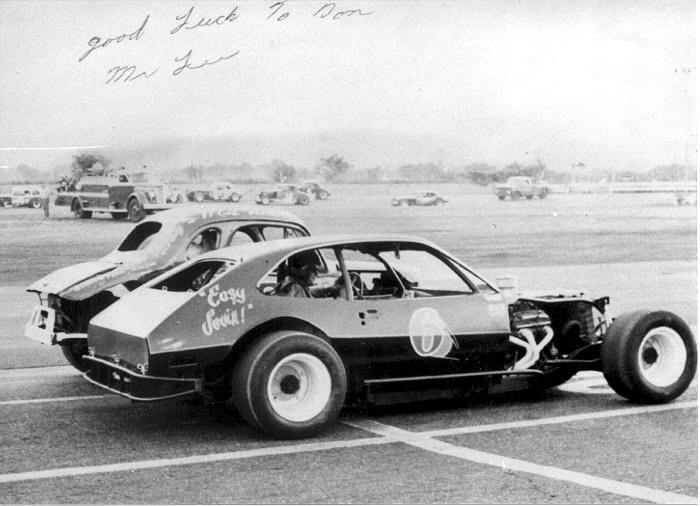 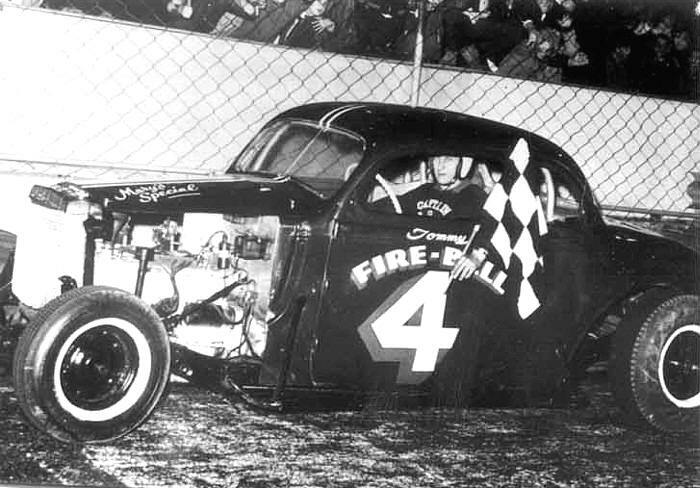 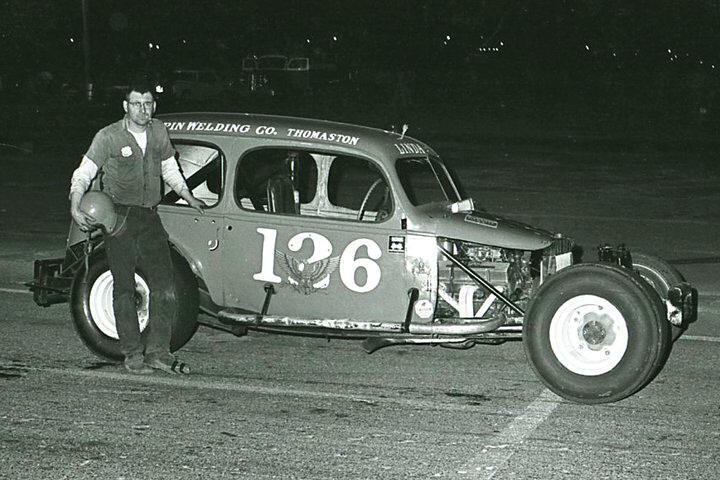 Danny Gallulo, Sr with what appears to be one of his earlier cars. 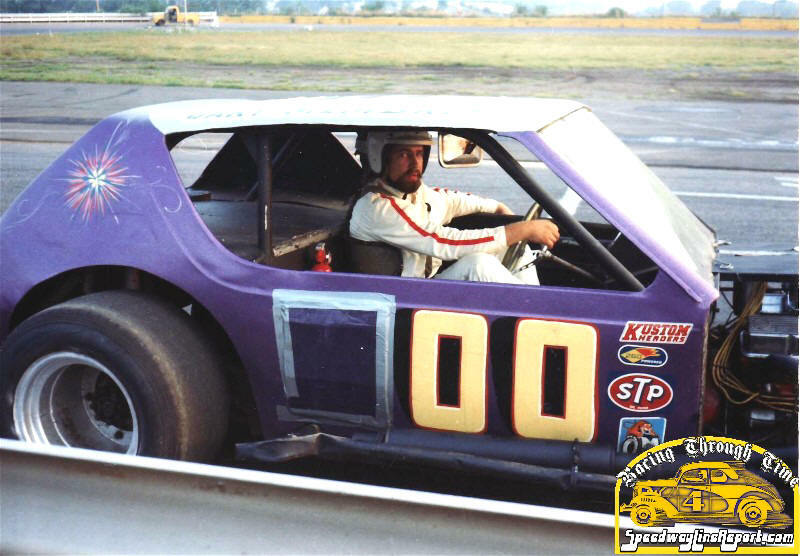 Fuzzy Baer with one of those hairy cutdowns. 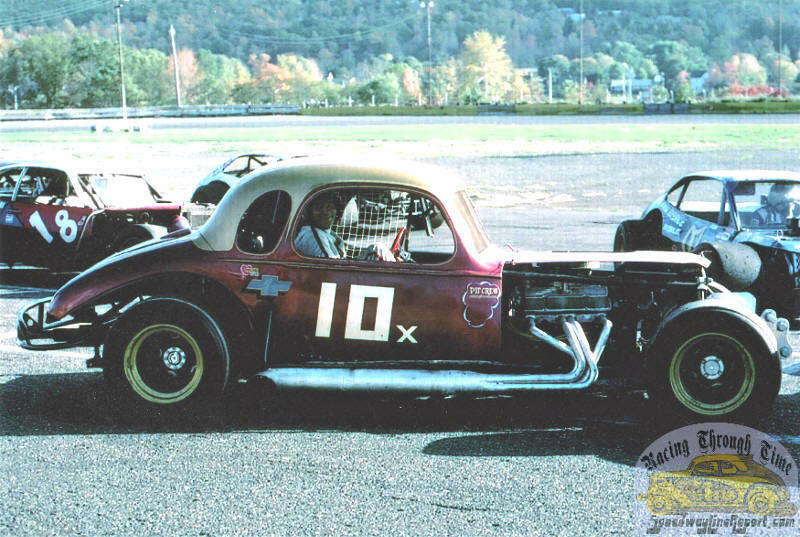 Plainville's always - interesting Jap Membrino and the 00 car. 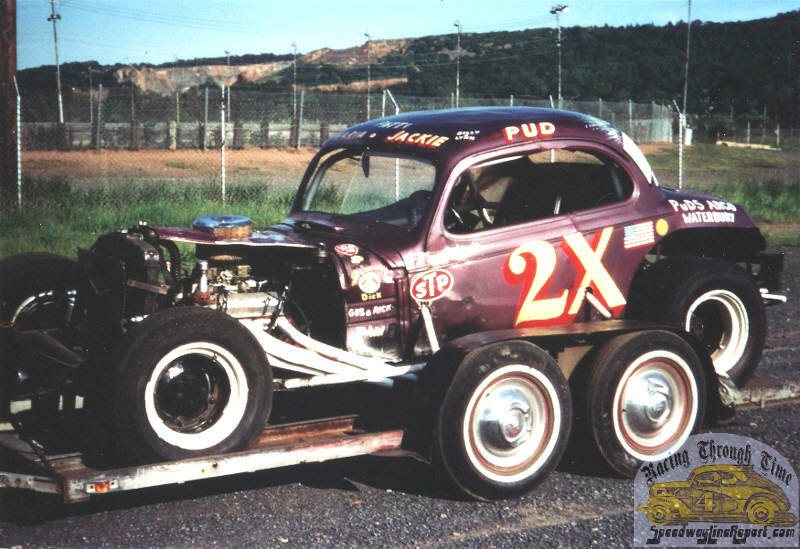 Another of Jap's Plainville cars. 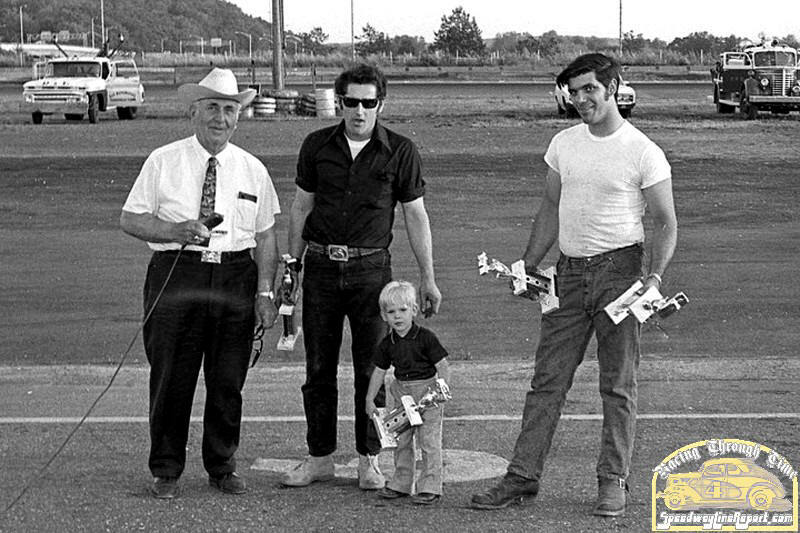 Check out the connection with the Garutis. 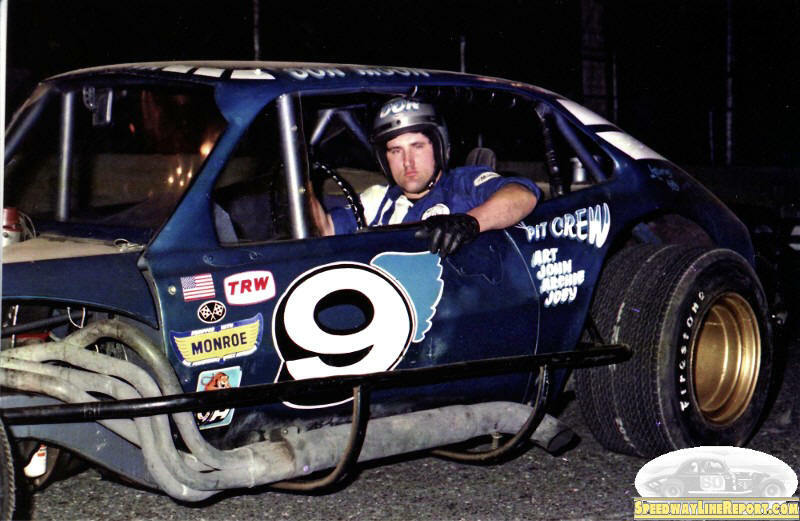 Wild Bill Brown is still in the car here. 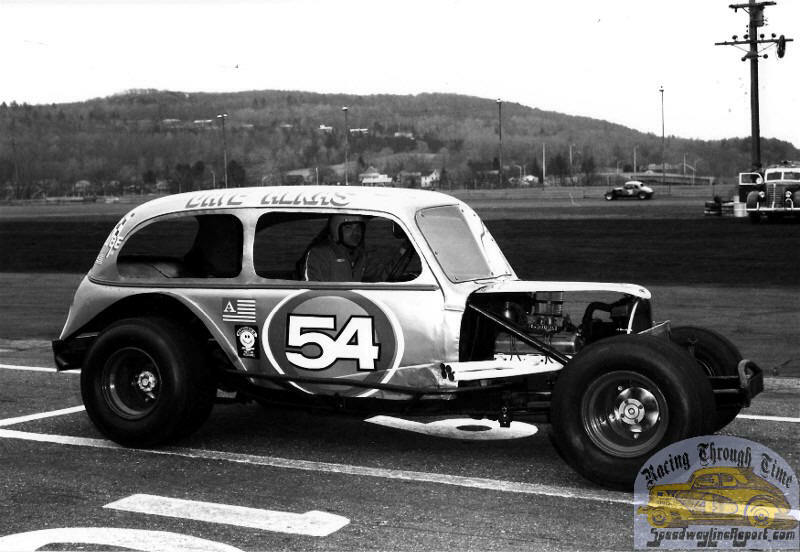 Judging from the number, maybe Skip Ziegler. 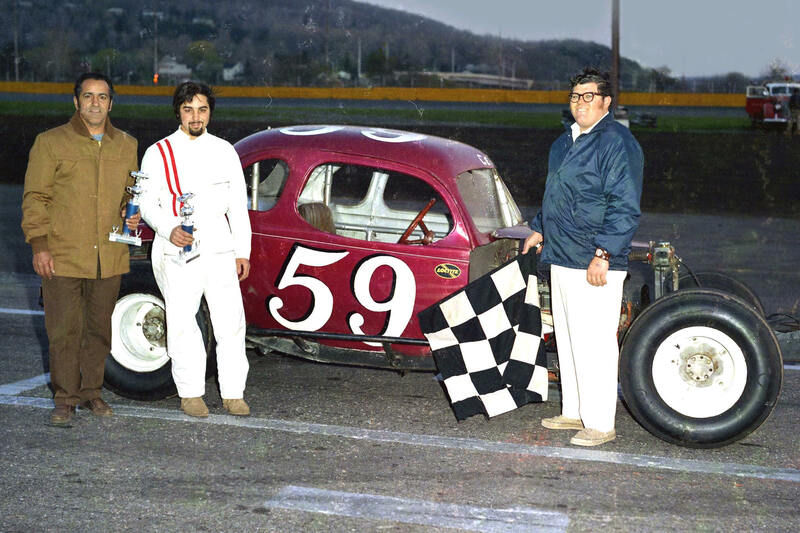 Roland Cyr and [probably] Dave Alkas. 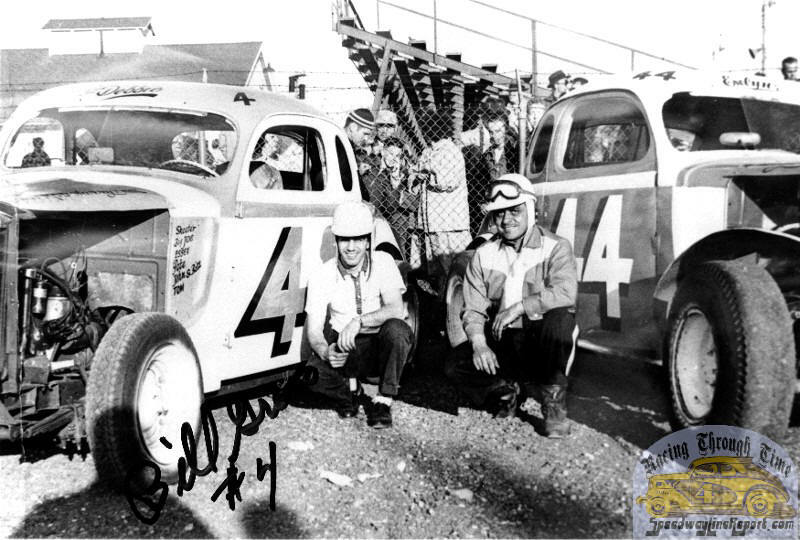 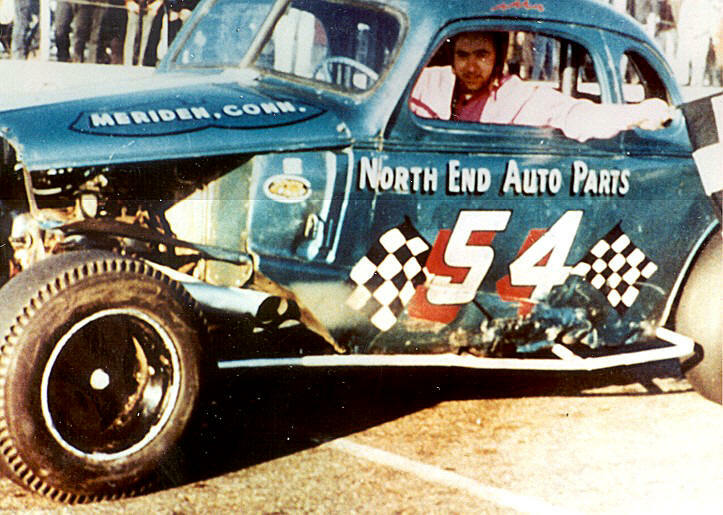 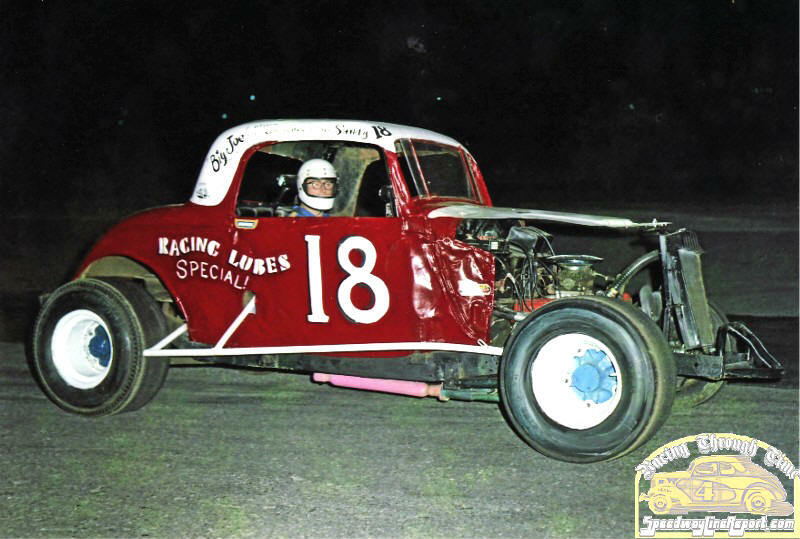 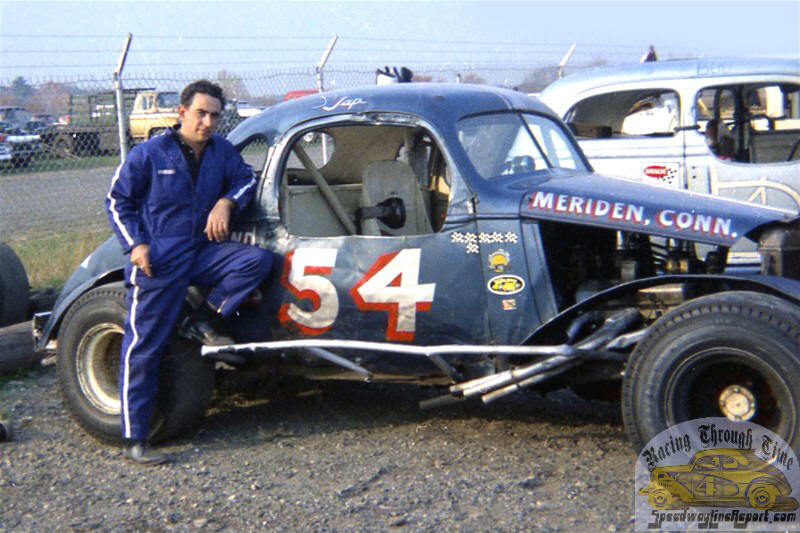 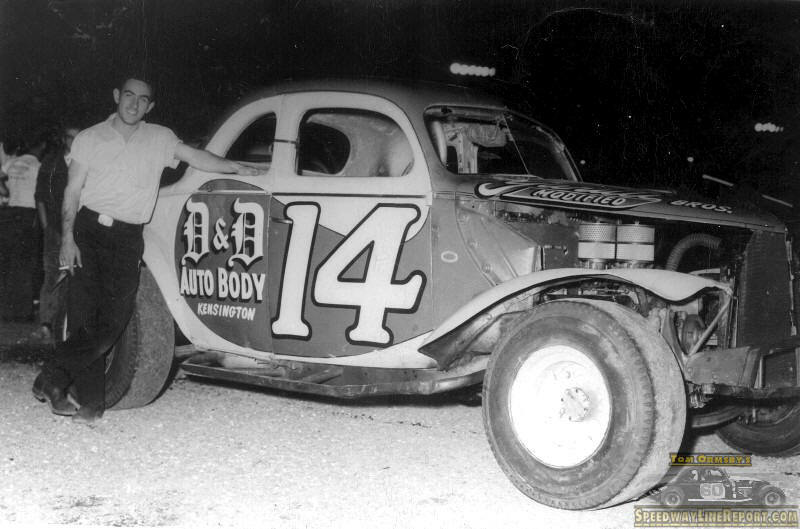 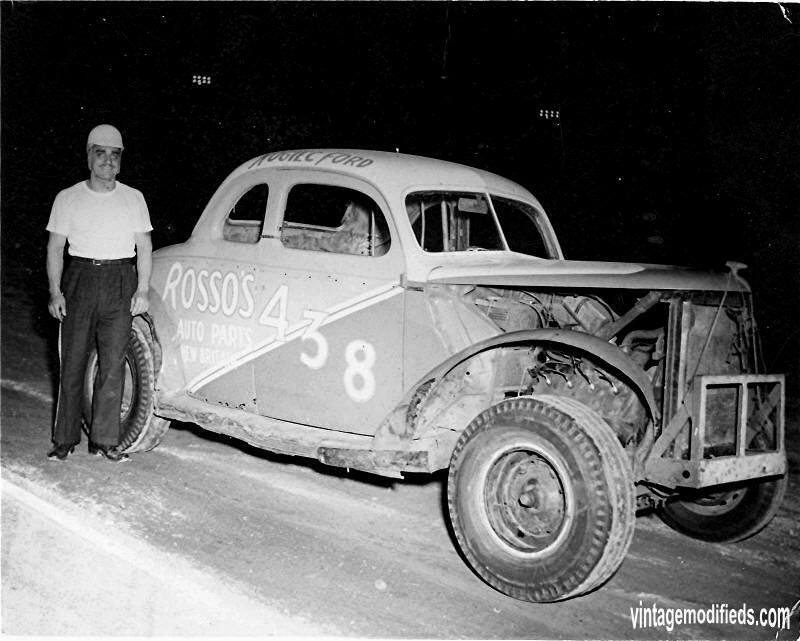 Reg Ruggierio with Mario Fiore's 44. 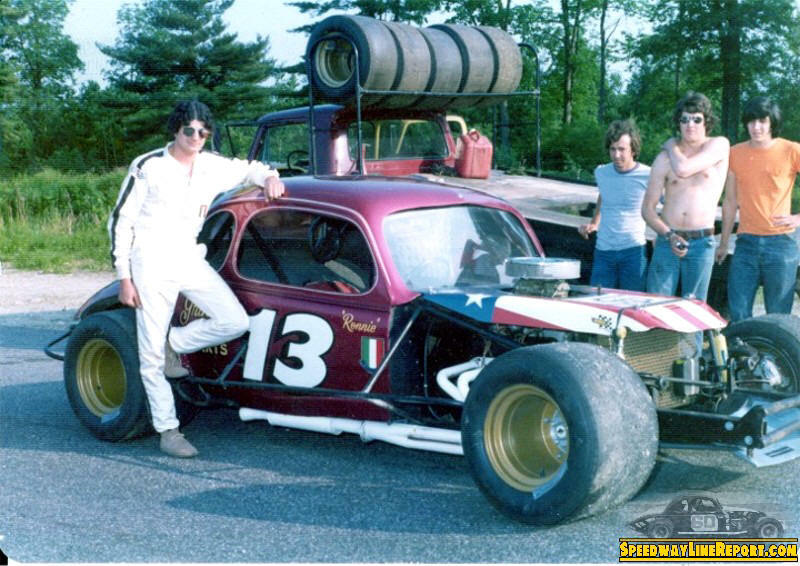 Joe, with Cyr and Alkas. 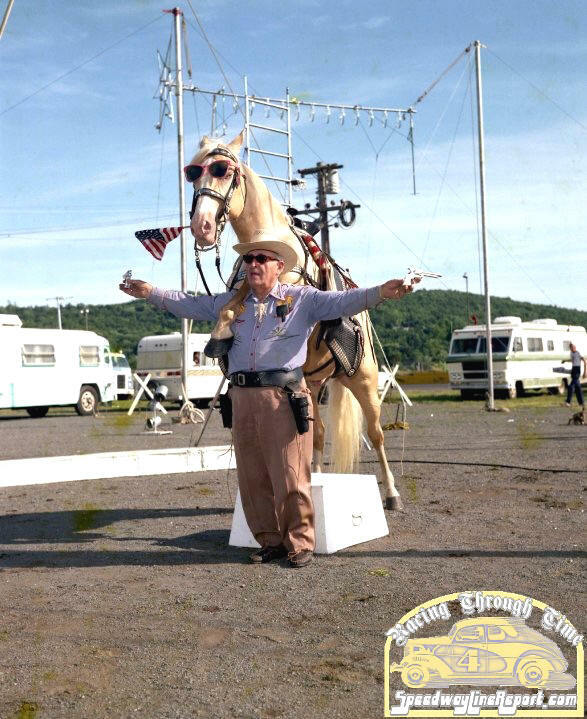 Joe and the beloved Sugarfoot.